We went to Hampi two weeks ago, and in between sweating a lot we saw some amazing buildings. Here's a set of our photos. 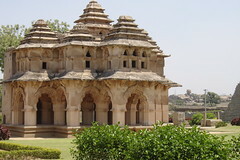 You can read a little about Hampi here.